For expert Lumbar Spondylosis treatment, you can turn to the experienced professionals from Ortho Sport & Spine Physicians. We are an orthopedic spine and sports medicine practice located in Atlanta, Georgia. Our double board certified Interventional Spine Physicians and orthopedic specialists specialize in providing effective, minimally invasive treatments for complex back pain and spine conditions, including Lumbar Spondylosis. Lumbar Spondylosis is a chronic and painful condition characterized by degenerative osteoarthritis of the joints in the lower region of the spine. As the condition progresses, it can cause pain as well as loss of normal structure and function of the lower spine. Using the most advanced and minimally invasive treatments, our physicians help patients with Lumbar Spondylosis find relief from their pain and other symptoms and return to an active lifestyle. If you are seeking the most advanced treatment for Spinal Osteoarthritis in Atlanta, you can count on the caring team from Ortho Sport & Spine Physicians. Our treatments are focused around alleviating the symptoms associated with the joint stiffness and/or nerve compression that results from Lumbar Spondylosis. In some cases, the discomfort from spinal degeneration can be managed using conservative treatments such as therapeutic exercises, massage, physical therapy, over-the-counter or prescription pain medications, hot/cold therapy or epidural steroid injections. If you have been diagnosed with Lumbar Spondylosis, we will work collaboratively with your referring physician, Chiropractor or other ancillary services such as physical therapy to help manage your condition. If you have tried to manage your Lumbar Spondylosis with conservative treatments and your pain persists, you may be a good candidate for minimally invasive, endoscopic spine surgery (also known as “band-aid back surgery"). Ortho Sport & Spine Physicians is proud be one of the Southeast’s leading providers of endoscopic spine surgery. Using this advanced technique, we can help you find relief from your pain with fewer complications and a shorter recovery time as compared to traditional open back surgery. 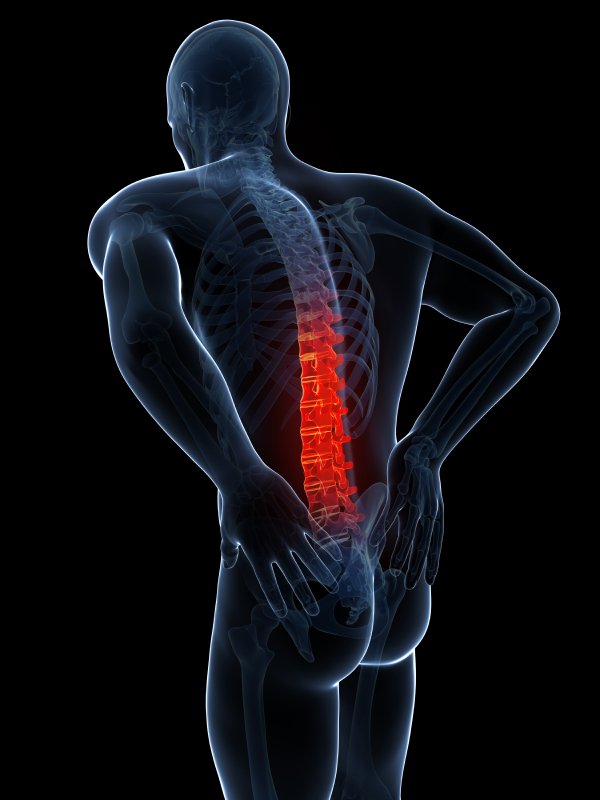 In most cases, Lumbar Spondylosis is caused by the normal wear and tear that is associated with the aging process. Unfortunately, you cannot do anything to stop the aging process. You can however, do something to help you get relief from your pain and other symptoms. If you are suffering from lower back pain and think it may be due to this condition, please contact our Atlanta Lumbar Spondylosis Treatment Specialists at Ortho Sport & Spine Physicians today and schedule a consultation with one of our Interventional Spine doctors. After a complete evaluation, we can recommend the most appropriate treatment to help you find relief from your pain and improve your quality of life. Our practice is currently accepting new patients and we accept most health insurance plans as well as several different forms of payment. We look forward to helping you stay active and live your best life.